Can Nicotine Gum & Lozenges Help in Weight Loss? This page is not a substitute for medical care. Consult your health care providers before beginning any new program. In April 2012 I was a physical mess. I was 60 years old and overweight at 235-240 pounds. I had severe sleep apnea. I needed a cane to walk. I had smoked cigarettes for 42 years. Then, my longtime neurologist did me a huge favor and convinced me to quit cigarettes ... now it is early 2017 and I weigh a healthy 175-180 pounds! I've lost over 50 pounds and have kept it off over three years mostly by over the counter nicotine gum, lozenges, sensible eating and moderate exercise. Doctors have called me a medical miracle - but most of my weight loss success is due to how I have learned to use nicotine gum and lozenges. Cherry or mint flavored lozenges are my favorites. I haven't had a cigarette in over 4 years; my balance is much better and I no longer need a cane to walk. Plus, I don't snore nearly as much. All my medical tests have vastly improved! My weight is tracked every two weeks by my long-time and much appreciated family physician. People who know me are amazed at how well I look today after losing 8-10 inches off my belly (size 44 down to size 34). I can even dance again! Most people gain weight when they quit smoking - but I lost weight because I use the new flavored nicotine lozenges and gum. The old nicotine gum and lozenges used to taste terrible - but newer flavorings have been developed to make them taste very good! I cannot say enough good things about the nicotine patch, lozenges and gum. Today's gum and lozenges taste much, much better than the old peppery gum they had years ago. The new mint and cherry flavors are great tasting improvements! They are still tangy - too keep children from thinking they are candy. Years of research has gone into making a taste does not appeal to kids but most adults can like. You can find them at most grocery stores and anyone age 18 or over can buy them without a prescription. My results may not be typical. One goal of this page is to stimulate research. Show your doctor this website and read the references in this article. Nicotine is "No more dangerous than coffee"! A new report from the British Royal Society for Public Health has found one myth about the dangers of smoking has endured for decades. The research suggests nine out of 10 people falsely believe nicotine is very harmful to their heath, when in fact it is no more dangerous than the caffeine in a cup of coffee. The British report promotes the wider use of NRTs like nicotine gum and lozenges to fight cigarette smoking. It is further proof that medical nicotine is vastly different from tobacco nicotine. The report says that 9 out of 10 people wrongly believe nicotine is much more harmful than it really is! It may be hard to believe, but I really did lose over 50 pounds in my first year off cigarettes (documented by medical doctors.) I used BOTH nicotine patches and nicotine lozenges. I continue to use lozenges today with my doctor's support, which has the dual effect of curbing my appetite. This method is often called " Harm Reduction " by scientists. The idea behind Harm Reduction is simple - nothing is as bad for us as cigarette smoking. Anything we can do to get off tobacco is good simply because nothing is as harmful as cigarettes. We can apply the same idea of "Harm Reduction" to weight loss! For some people using medical nicotine may be less harmful than obesity. Nicotine gum could make dieting easier for millions. It's now 4 years since I quit and my weight is still 175-180. Medical nicotine products no longer require a prescription and can be purchased at most grocery stores. The FDA said that years of testing NRTs like nicotine patches and lozenges has found very few harmful effects! They have been tested for over 20 years with over 50,000 smokers. It's the tar and additives that kill - not the nicotine! The relapse rate for smokers like me is over 80%. I will likely never be nicotine free, but I can be cigarette free! Nicotine patches and lozenges are much better for you. If I can quit smoking with patches and lozenges ANYONE can. I've been cig free for 3+ years and I use about 10 lozenges a day. Lozenges are made in 2mg and 4mg tablets. They dissolve slowly in your mouth and are great after meals and for quick cravings. They also make your breath smell a LOT better than it used to with cigarettes (or chew). Lozenges and gum both come in cool flavors like mint, cherry and orange that taste much, much better than the old gum. We could develop lozenges without nicotine that will also suppress the appetite. Having a long lasting lozenge has been vital to beating the cravings for cigarettes, food and for losing weight. Nicotine stimulates the body and most people have drops in their energy levels after quitting cigarettes, but this method has kept my energy up! Also, I thought I would gain weight, like always when I tried to quit cigarettes. But, nicotine lozenges and gum are terrific appetite suppressants. With a lozenge in my mouth I am simply not hungry between meals. I don't believe using a patch alone would work for appetite control. Medical nicotine is very different from tobacco and cigarettes. In Sept 2013 the US Food and Drug Administration said: After 20 years of testing and more than 117 trials with over 50,000 smokers, "NRT aids do not have significant potential for abuse or dependence". Read NEW FDA Guidelines for Medical Nicotine, Sept 2013! It is now easier to quit than ever before with the new FDA rules! What about Nicotine's Side Effects like high blood pressure? I had a heart exam the year before I quit smoking. All appeared normal except for slightly elevated blood pressure which is fairly normal for men my age (I take Lisinopril daily). If you have had any history of heart trouble or high blood pressure be sure to consult with your doctor. Show her this web site. Medical nicotine is a much safer form of nicotine than what's in cigarettes - but it's still a mild stimulant. Check with your doctor. Also, see this British study by the Royal College of Physicians of London which says, "Although it is unlikely that medicinal nicotine (or any drug) is completely safe, there is no evidence that medicinal nicotine is carcinogenic, or that, in practice, its use increases appreciably the risk of acute cardiovascular events ... To practical purposes, therefore, in comparison with smoking cigarettes, use of medicinal nicotine is extremely safe." What about E-Cigarettes or “vaping”? I have not used e-cigs, but these may help many people quit and I would try it if I were ever attempting to quit smoking again. E-cigs were very new when I quit. I fear the smoke/vapor could keep me wanting more to smoke real cigarettes. Plus, vaping may not curb the munchies the way that lozenges and gum can. However, it's is very possible that a person could use BOTH vaping and nicotine lozenges/gum - each are replacements for the cigarette, which is so much worse for us. If I was starting over to quit I would probably use e-cigs. But I might not have lost weight by vaping and I might not have thought of using gum/lozenges. I would still need to go outside for my nicotine fix rather than reach into my pocket! It's much easier to use lozenges and gum than to leave work for any type of smoke! Can people who Chew use this Method? YES! This is the perfect method for tobacco chewers! Lozenges and flavored gum are a much cleaner, better way for guys to get their nicotine fix. I have zero fear that people will start chewing (or smoking) because of using medical nicotine. The two products are very different - one tastes terrible and one tastes like a cool mint. Today's gum and lozenge taste much better than the old peppery flavor. They are still tangy - which keeps children from thinking they are candy. The spicy taste does not appeal to kids but most adults can enjoy it. 4 EASY WAYS TO LOSE WEIGHT! 1. I weigh myself each day at the same time - in the morning. My weight can fluctuate quickly. Daily weighing shows me the small changes. 2. I control cravings between meals and after dinner with nicotine lozenges or gum. Nothing else can suppress the appetite like nicotine gum or lozenges. Gum and lozenges are much better to control food cravings than patches, cigarettes or vaping. 3. I eat WHATEVER I want for breakfast, lunch or dinner - in reasonable portions. For example, I quit buying half gallons of vanilla ice cream because I would eat the entire carton in three days. This was my habit for years. I still love ice cream but these days I drive and grab a soft- serve ice cream cone -- almost every day. This keeps me from being deprived! 4. I do not eat after dinner until breakfast the next morning - when dieting this includes late night alcohol (which contains sugars). Nicotine lozenges make it easy for me to avoid eating until the next morning (getting a good night's sleep is also very important). This is also known as "Intermittent Fasting" or simply IF. You can drink alcohol with dinner or shortly afterwards, but stop as early as you can. There is some research saying that dark-colored grape can actually aid weight loss. But, alcohol is an intoxicant and we may be tempted to eat more when we drink (and smoke too!). UPDATE! New Research on I.F. Starting in the summer of 2012 I cut out all nighttime snacks after dinner. I simply do not eat after dinner until the next morning's breakfast, often 12+ hours later. I used to eat a lot of ice cream late at night and I knew I had to quit this bad habit! Read the exciting new research from the prestigious Salk Institute. Scientists call this "Intermittent Fasting" - giving your body an 12 - 16 hour "fast" between dinner and breakfast. I've been doing this for almost 2 years and am now convinced that simply avoiding eating after dinner is a major factor in my weight loss. Here are several links about a way to lose weight and still eat the foods you love - in the daytime. You don't have to count calories hardly at all! I try to eat only between about 8-9 am and 6-7 pm (but some researchers say you can vary the time as you need). This can make your dieting easier because you can eat mostly whatever you want during the daytime. It is hard for many people to develop sufficient willpower to resist ALL between meal snacks. But, perhaps people could develop their willpower to resist the cravings for a regular 8-12 hour period only starting after dinner. We could teach people how to use their willpower for a short, defined time like 12 hours. Check out these links for the the latest research and also look for see the new book called "The IF Diet" published in Jan 2014 by Robert Skinner. It's a very impressive book that collects the most recent information on Intermittent Fasting. I had not heard the term before, but I have been doing it over two years and it works.
? How Much Do NRTs COST ? One big reason to quit cigarettes is because they cost so much, over $6.00 a pack now. All smokers would like to save the money. Unfortunately, quitting is not cheap either. Sure, you could go "Cold Turkey" and simply quit all nicotine - but the odds are 80% you will fail and soon go back to smoking - weighing more. Cigarettes are very addictive. But both the U.S. FDA and the British Royal College of Physicians have concluded that medical nicotine is nowhere near as addictive as tobacco. See links to their studies on this site. The biggest financial cost with my method is in the first few months - when was using both patches and lozenges every day. After six months I began to cut the patches in half, which still kept a low-steady dose in my blood stream. I continued to use lozenges for cravings (at first about 10-15 a day). Like cigarettes, you have to be at least 18 years old in most places to purchase nicotine replacement therapies. I still keep a few patches around for emergencies. Before I go to the store and buy cigarettes I will reach into my medicine cabinet for a patch - or more lozenges. I keep NRTs close to me, and I try to keep cigarettes far, far away. When I quit I was doing it because my doctor said I had to - now it's because I want to stay cigarette free! The costs of cigarettes in money, respect and health make cigs a losing proposition. Many employers won't hire a smoker and it's impossible to mask the odor of cigarettes on clothes. Today my clothes are fine, my breath smells great and I can freely walk anywhere! Is that worth the cost of NRTs? YES! YES! YES! We know that nicotine is the most effective appetite suppressant on the planet but nicotine may have other medical uses such as with people with cognitive disorders. Here is a brilliant new article in Forbes by Sally Satel, a well respected journalist on medical research and ethical issues. Believe it or not, nicotine may even have health benefits!! Sally Satel also links to a recent study by the British Royal College of Physicians of London which studied nicotine, smoking and NRTs. On page 270 the Royal College of Physicians write: "The safety record of medicinal nicotine products is extremely good. Although it is unlikely that medicinal nicotine (or any drug) is completely safe, there is no evidence that medicinal nicotine is carcinogenic, or that, in practice, its use increases appreciably the risk of acute cardiovascular events, or indeed that nicotine itself is responsible for much if any of the harm caused by cigarette smoking" . At first we did not know what was causing my weight loss when I quit smoking. Most doctors have forgotten what many teenagers know - that nicotine is an appetite suppressant! Sadly, right now, there is not a better appetite suppressant in the world. 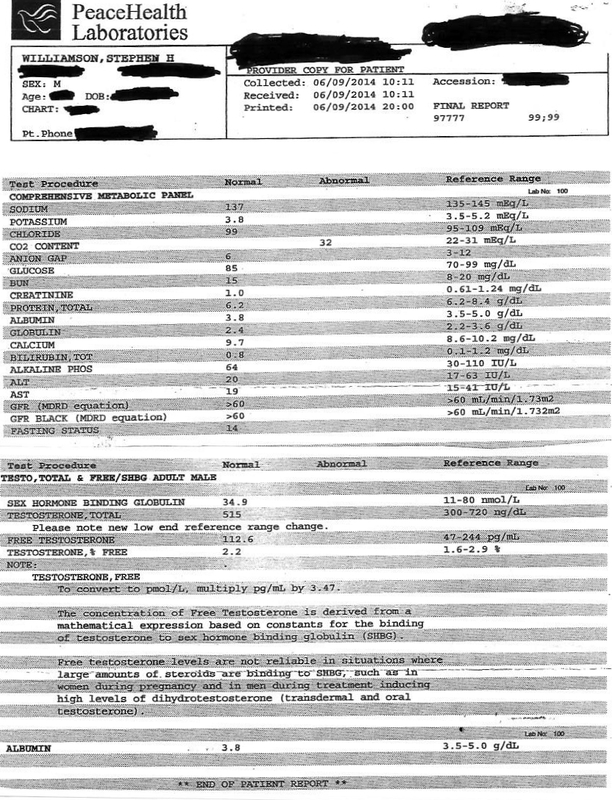 We did several blood tests in late 2012 and early 2013 when the weight loss passed 25 pounds and then a few months later, after I had lost over 50 pounds. But, everything looked very good - better than they had in years. My doctors and their staff could not explain the weight loss. They kept telling me not to worry, but I had never even heard of anyone who lost 50+ pounds in the same year he quits cigarette smoking without having cancer. It was an unbelievable transformation for an overweight smoker of 42 years that none of them had ever seen. Nothing physical, metaphysical or psychological seemed to explain the weight loss. 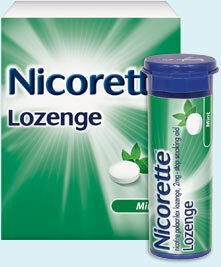 But, perhaps if we had been in Europe we would have known it from the Nicorette company's own advertising! I was using nicotine lozenges and they were suppressing my appetite. It's funny in hindsight how none of us well educated men and women thought to look for the simplest explanation - the nicotine lozenge I had in my mouth! I want to emphasize again, that I did not do any special diet, nor did I do any hard exercise. I did do a lot of positive thinking and affirmations, but when I quit smoking I completely accepted that I would GAIN weight. Unplanned losing weight for a smoker is a scary thing. We think it must be cancer - and often it is. I was eating my usual diet at mealtimes but I had quit eating between meals almost without realizing it. I just kept a lozenge in my mouth and did not even think about food or cigarettes. I never felt hungry at all. I could not have avoided the hunger pangs without nicotine lozenges or gum. No other lozenge I know of has this effect. We need research for a nicotine-free lozenge that curbs the appetite. Science can do this – if we demand it. It's clear from ex-smokers in Europe that you can avoid gaining weight when you quit smoking using the lozenges, gum and patches. This will allow you to avoid snacking in the evening after dinner! Critics may charge that this method keeps me addicted to pharmaceutical nicotine. That’s true. But, long time smokers like me have relapse rates over 80%. My original goal was to quit cigarettes. All my medical tests have vastly improved. 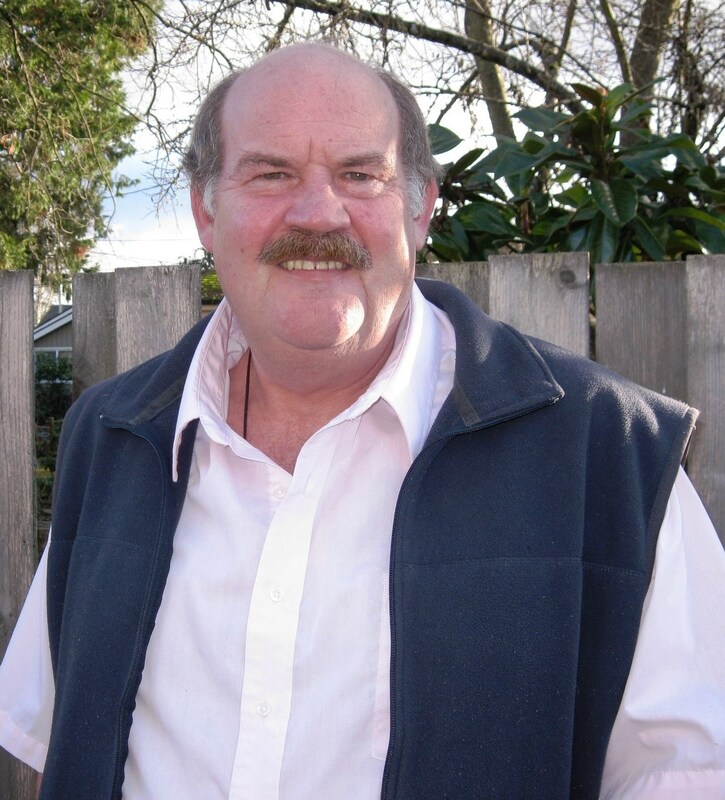 I smoked for over 40 years, it's not likely I will ever be nicotine free, but I can be cigarette smoke free. That's good enough for me, my family and my doctors. I am using far less nicotine now than I was when I smoked cigarettes. Also, radical as it sounds, pharmacological nicotine may have positive health benefits. Perhaps it's the hundreds of other additives the cigarette manufacturers add to tobacco that change it from the beneficial medicine that First Nations people used into the world's biggest legal killer today. The nicotine in replacement therapies is much cleaner than used by cigarette companies. It's been studied by for over 20 years and not found to be significantly harmful (compared to cigarettes). Which is Really Worse: Obesity or Medical Nicotine ?? Despite all the weight loss programs, diet gurus & fitness gyms people are still gaining weight. People lose weight and then regain it back in a depressing cycle. Medical nicotine such as gum or lozenges seem no worse than expensive surgeries, pills and extreme diets. Nicotine gum and lozenges may not be the ideal appetite suppressants but they works until something better is invented. Nicotine will boost your willpower to resist food. Thank you For Reading this Page. I cannot give any sort of medical advice. But, I would love to hear your ideas.